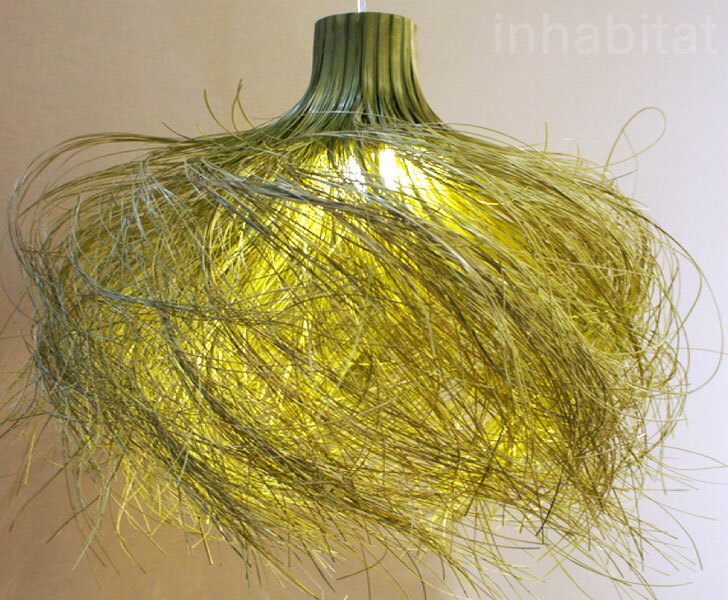 We spotted this elegant bamboo grass lamp by Innovo Design fresh from the floor of the Milan Furniture Fair. An excellent example of simple green design, the "Future Tradition" shade borrows from traditional Chinese craft -- the bamboo reeds are teased into a swirling diffuser by separating each bamboo strands up to the base. The light, kinetic design is intended to dance in the breeze near an open window.